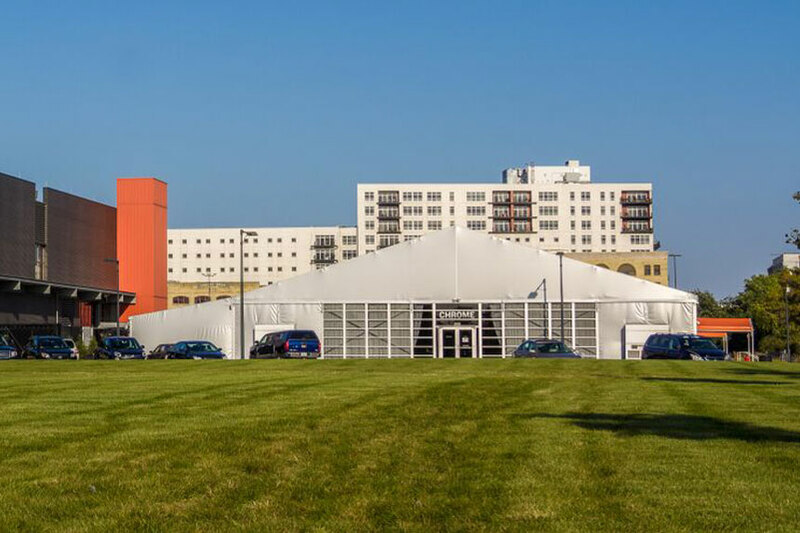 With Harley-Davidson Motor Company calling Milwaukee home for over 110 years, the Harley-Davidson Museum is regarded as one of the city’s premier attractions, with 300,000 visitors annually. 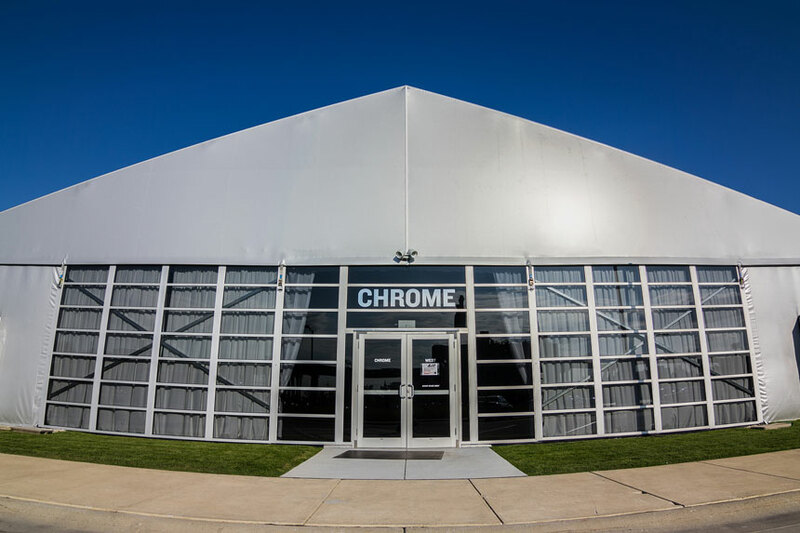 To supplement the museum’s existing event spaces, Arena was called upon to design and install a unique tent structure named “Chrome” for special events. 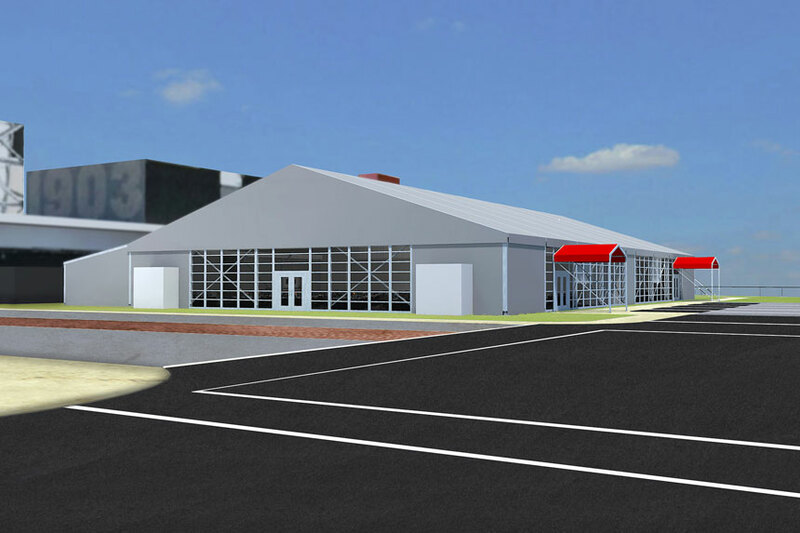 With the events in mind, the goal for the structure was to be able to serve different size and types of events, and also have integrated space for restrooms and food service. 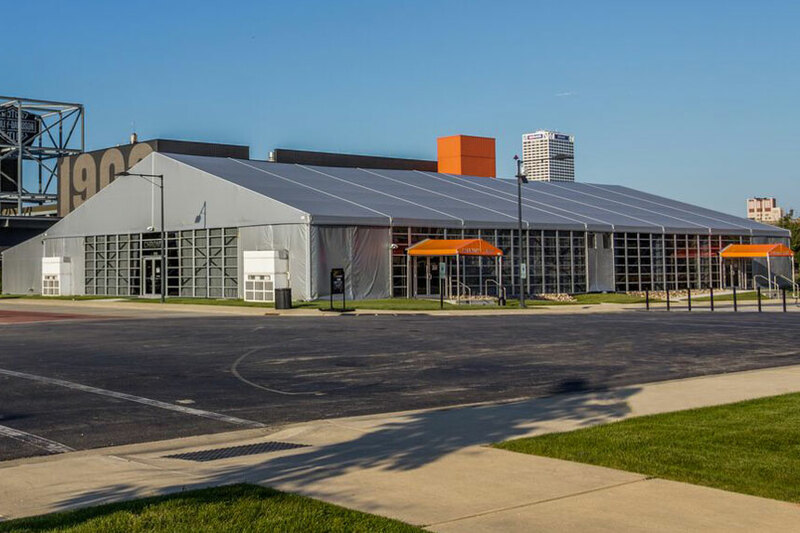 On the exterior, Arena designed the tent structure to complement buildings on the museum campus. 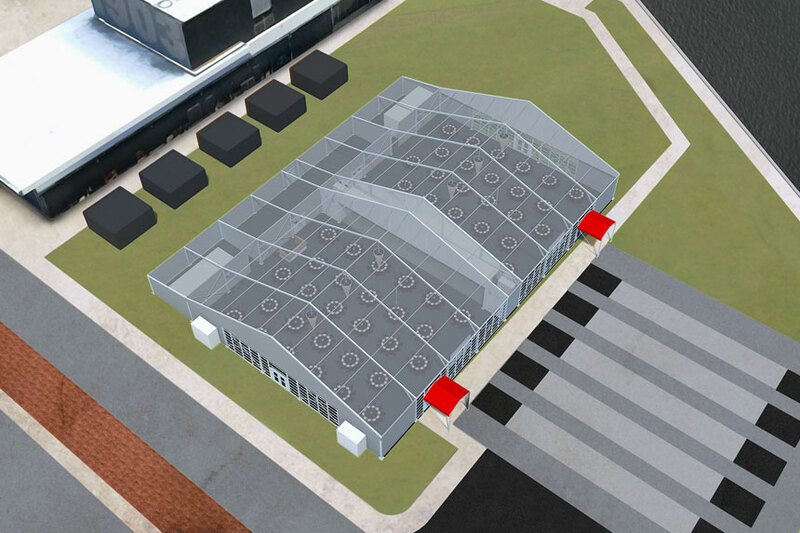 Tinted double glass doors and custom horizontal glass panels, designed to emulate the glass found on the museum itself, were made at our manufacturing facility. 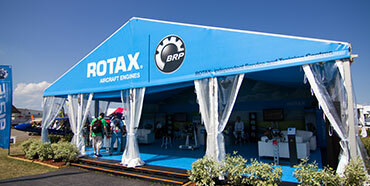 The tent membrane was made from a silver vinyl, rather than the standard white, providing a very distinctive look. On the interior, Arena designed a sound-proof interior wall to divide the space into two smaller rooms for concurrent events when required—just by adding or removing modular wall panels. The rear of the structure was given a 20’ deep extension to house restroom facilities, and a food prep/storage area. 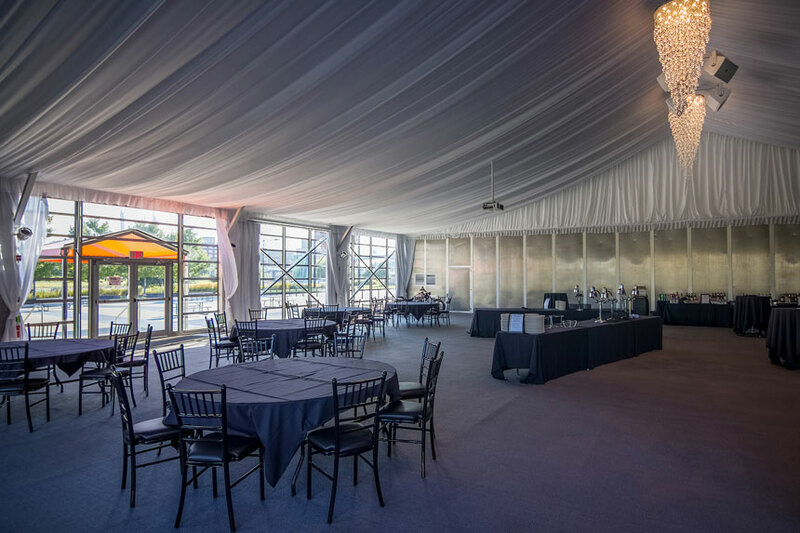 Four air conditioning units were brought inside the tent in special enclosures, both to help disguise them and to add uniform cooling to the center of the space. 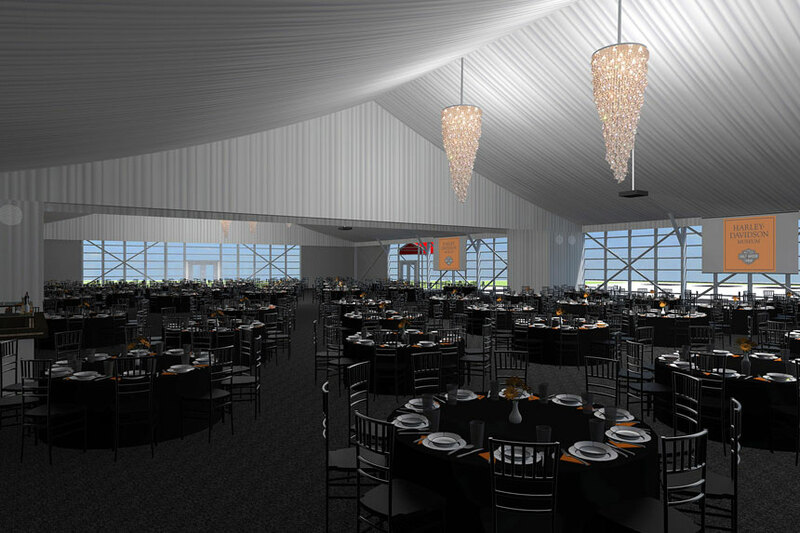 The interior of the event space was lined with pleated white fabric liners, in addition to retractable shades to cover all of the glass when required. The floor was carpeted and chandeliers were added to complete the look.